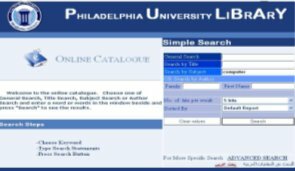 In the explorer address bar, type this link: http://library.philadelphia.edu.jo where you will be directed to Philadelphia University Library Home Page. Click "search in English collection" to start your Simple Search in English. Select either General Keyword Search, Title, Author or Subject and enter a word or words in the window below and press "Search" to see the results, or go to Advanced Search. 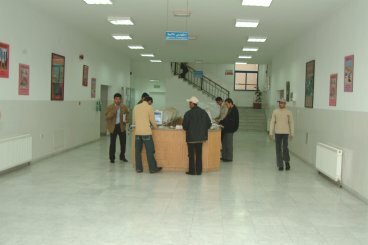 If you have any difficulties or questions about finding any material you need, seek the assistance of the Reference librarians.